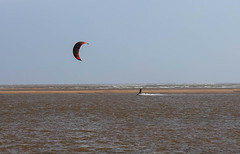 For most of its length, Devon’s western frontier with Cornwall is marked by the River Tamar. 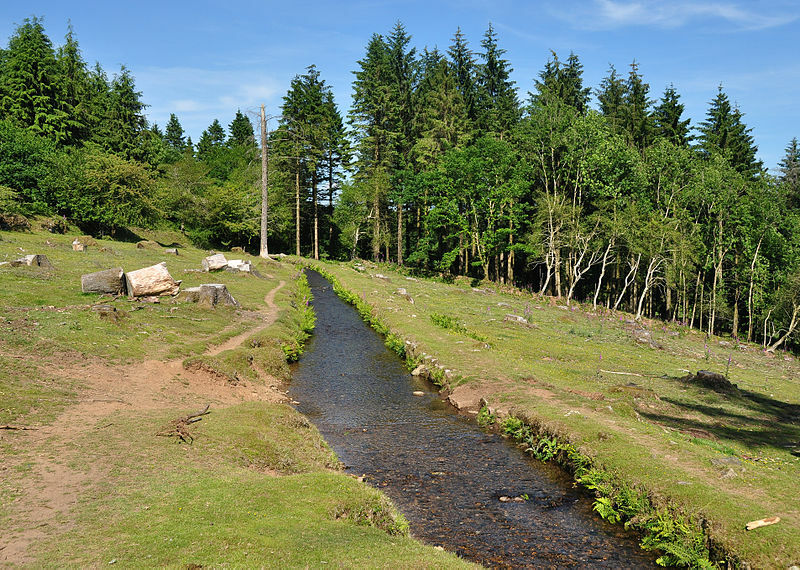 One of Devon’s long-distance walking routes, the Tamar Valley Discovery Trail, follows the valley between Plymouth and Launceston. This walk follows a length of that Trail and then doubles back to form a circuit. 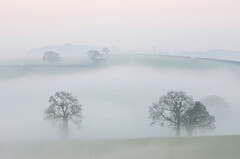 The walk is based on the village of Bere Alston, in the heart of an Area of Outstanding Natural Beauty. Bere Alston village and station are also served by buses to and from Tavistock. Bere Alston : pub, refreshments, toilets, shops. One long but fairly gentle climb: 5 stiles. Landranger (1: 50,000 scale) no.201 Plymouth and Launceston. 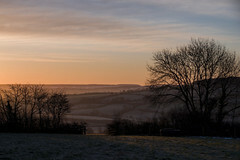 The valley of the Tamar is highly attractive, a fact recognised by the designation of the southern end of the valley as an Area of Outstanding Natural Beauty. This designation is given only to areas deemed to be of landscape importance on a national basis. Bere Alston is a large village with a long history of mining for metals, dating back to silver mines in the medieval period. During the 19th and early 20th centuries it also became the centre of an important market gardening and flower growing industry, this importance being enhanced by the railway running through the Tamar Valley. The valley is lucky to have retained the branch rail line, [although much of it was once part of the Waterloo-Plymouth main line], and this walk is based on the station at Bere Alston. The station is a little way out of the village and is well signposted. Bere Alston itself is signposted from Tavistock. 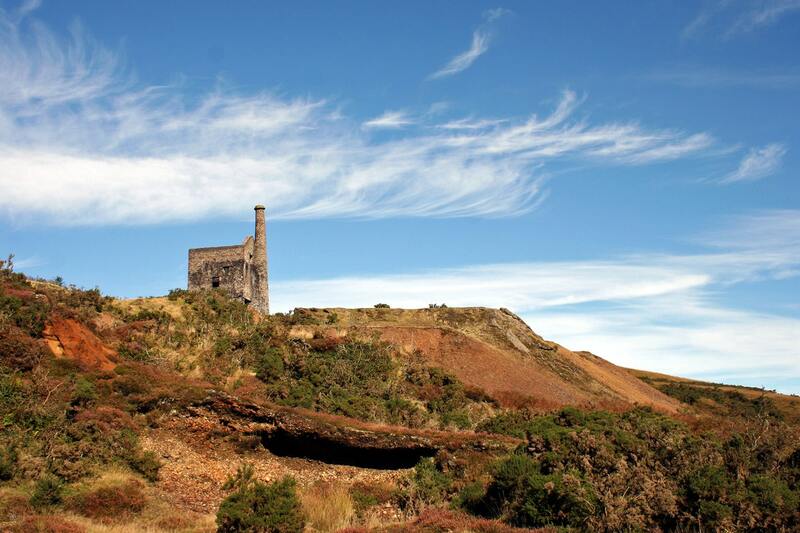 On the skyline looking over to Kit Hill you will see a distinct chimney of the mine, just over the Tamar in Cornwall. The chimney is a prominent landmark in the lower Tamar Valley. These woods were once the site of mining activity centred on Buttspill Mine. 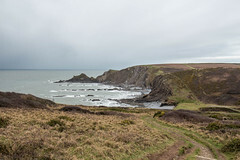 In the 19th century lead and the mineral fluorspar were mined. The farm, now called Ferry Farm, was once the Passage Inn. This is the site of an ancient ferry crossing of the Tamar which is said to have originated in Saxon times and continued until the 1950’s. There will be a timetable on the ferry landing stage; times depend on the state of the tide. 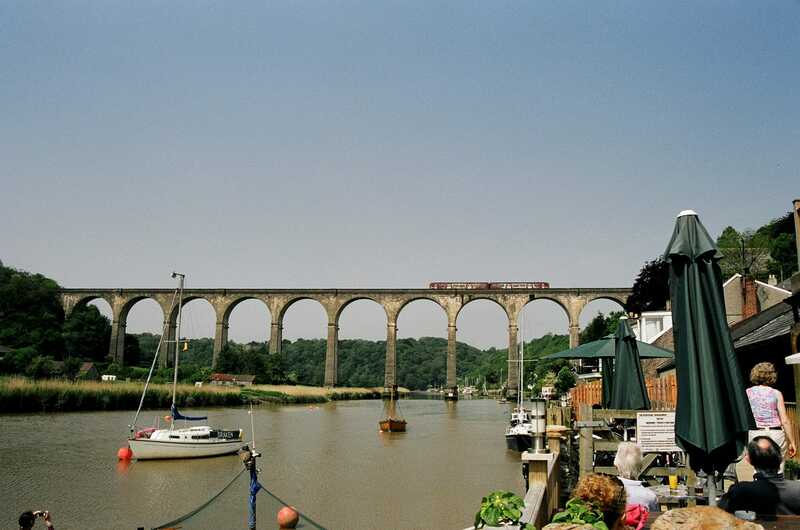 The viaduct carries the Tamar Valley railway line over the river. Built between 1904 and 1908, it is constructed of pre-cast concrete blocks, manufactured here on site. This is one of the earliest uses of this type of construction. 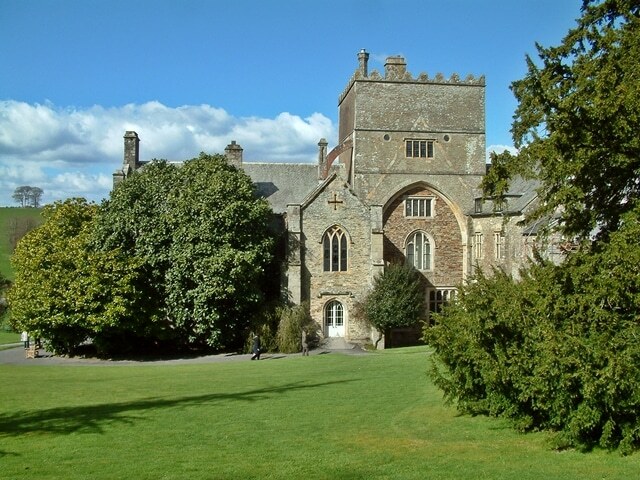 Cotehele House is an impressive National Trust house dating back to Tudor times and was the chief seat of the important Edgcumbe family. It can be reached by footpath from Calstock and the ferry also calls at Cotehele Quay. Through the trees and across the river will be seen Cotehele Quay, once an important Tamar landing point. 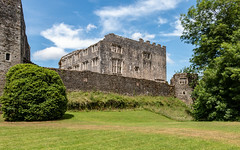 Part of the National Trust’s Cotehele estate, it is still a popular spot, with museum displays, pub and café and an old Tamar sailing barge, the Shamrock. This is also a landing stage for the Calstock Ferry. The house just passed is Ward Mine, the site of a silver and lead mine of the 19th century, although records indicate silver mining was here as long ago as the 13th century. The farmhouse here is converted from mine buildings. Along the walk you will see the hillside which was once one of the Tamar Valley soft fruit orchards. One or two trees still remain. A better impression of how the Tamar Valley would have looked at the height of the market gardening period is obtained from looking over the river, where the hillsides are still used for fruit and flower growing. The wood is a fairly recent development. 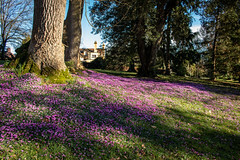 The hillside was formerly occupied by flower growing and in spring, daffodils are still seen all over the now wooded slopes. The remains of Lockeridge Mine will be seen, this was a silver and lead mine was another active working in the 19th century which had medieval origins. There is a superb view of Calstock and its viaduct, as well as Kit Hill and other mine chimneys. On a clear day the outline of Bodmin Moor is visible behind Kit Hill.